Q1. What is the maximum amount of tax rebate? Q2. Which income category taxpayer can enjoy tax rebate? Q3. What does total income means? Q4. Whether section 87A is available for all assesses? Q5. Does this increase the basic exemption limit by Rs.20,000? Q6. If the tax payable is only Rs.4,300 than will I be eligible to claim tax refund Rs.700 as tax rebate remains unused? Where to claim tax rebate while calculating income tax payable? Since there are no proposed changes to tax rebate available under section 87A in the budget 2015, it will continue giving benefit to the medium class taxpayers post budget. Thus, tax rebate under section 87A is available for Assessment Year 2017-18 i.e. Financial Year 2016-17 also. While tabling Union Budget 2013, Finance Minister had introduced a new section 87A to help individual taxpayers in lowering the tax outflow from their pocket. However, the tax rebate benefit had not been made available to all taxpayers but restricted to only Individual Taxpayers and that too for only Indian citizens irrespective of being male or female. Further, the tax rebate could be cherished only by individual taxpayers having the Net Total Income below Rs.5 lakhs. A1. The amount of tax rebate u/s 87A is restricted to maximum of Rs.5,000 (increased in Finance Bill 2016). In case the computed tax payable is less than Rs.5,000, say Rs.3,500 the tax rebate shall be limited to that lower amount i.e. Rs.3,500 in our case. A2. Only Individual Assesses earning net income up to Rs.5 lakhs are eligible to enjoy tax rebate u/s 87A. A3. Total Income construes the Gross taxable Income less any tax deductions u/s 80C to 80U. Suppose your yearly pay comes to Rs.6.50 lakh and you claim Rs.1,50,000 u/s 80C. The total net income in your case comes to Rs.5 lakh which makes you eligible to claim tax rebate maximum of Rs.5,000. A4. Benefit under section 87A is available only to the individual assesse that too only Indian Citizens. This means all the other assesses like HUF, AOP, BOI, Company, Trust, LLP, Partnership Firms etc. including individual NRIs are also not eligible to claim tax rebate under section 87A. Further, Individual assesses includes both male and female assesse aged below or above 60 years but not assesse aged above 80 years because the basic exemption limit for super senior citizens (above 80 years above) is Rs.5 lakhs which is the upper limit of claiming tax rebate. A5. No, Instead of affecting the prescribed tax slabs directly, section 87A lowers the tax liability, giving indirect benefit to the assesse procuring net income less than Rs.5 lakhs, of additional exemption income up to Rs.20,000. A6. No, there will be no such tax-refunds. 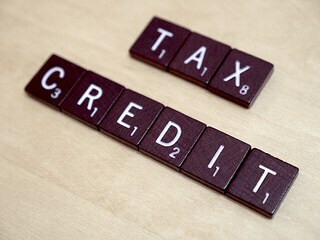 As stated above the tax rebate is only limited to the total tax payable subject to maximum of Rs.5,000. So if the total tax payable comes to Rs.4,300 than the tax rebate would be ?restricted Rs.4,300 with no tax refund of unused amount. The tax rebate u/s 87A is to be deducted from the total tax payable by the assesse. Assesse is first required to summate all incomes i.e. salary, house income, capital gains, business or profession income and income from other sources and then deduct the eligible amount u/s 80C to 80U and under section 24(b) (Home Loan Interest) to come up with the net taxable income. Read: How to Maximise Tax Savings on Salary? If the above net taxable income happens to be less than Rs.5 lakhs than the tax rebate of Rs.5,000 comes in the picture and should be deducted from the calculated total income tax payable, as state below. Assesses having gross total income above basic exemption limit are required to file Income Return even if the income tax payable becomes NIL after claiming tax rebate of Rs.5,000 u/s 87A. Whether 87A is applicable in the cases where net income express 5 lack due to salary arrears pertains to previous year paid during current year. 10E also submitted. After reading the your simple and understandable language I came to knew that U/sec 87A. rebate claiming.